Let’s start with the most broadly discussed topic—a secret court ruling revealed by Al Jazeera that involved ICU in government bond purchases. Have you carefully read the document published by Al Jazeera? Yes, we have read it, tracking all transactions. Exactly, that is what I’m talking about. The coverage just screamed “financial treason”. However, we have carefully read the document, which is over 90 pages long, and discovered many interesting things. Hadn’t you seen the document before? No, absolutely not. We are not a party to the lawsuit. We are neither a defendant, nor a witness. Let’s proceed to the charge itself. According to your press release that followed Al Jazeera’s publication of the secret Kramatorsk Court ruling, “before entering into these brokerage agreements, ICU complied with all applicable Know Your Customer (KYC) and Anti-Money Laundering (AML) requirements in regard to buyers of government bonds.” Having performed this procedure, whom did you think you were servicing then? As part of our standard customer verification process, we identified the clients and their controllers. None of them were on any sanction lists, nor were any connected to the government in power at that time. As a broker, we conducted the customer identification procedures as required by law. Only then did we move to carry out these very standard broker operations. We did not have the legal grounds nor the role of a law enforcement agency to make further investigations. Subsequently, we handed to government authorities all documents related to these companies. Was it Oshchadbank’s (State Savings Bank of Ukraine) decision to choose you? Again, you have to look at what actually happened. As you can read in the published document, the companies had been executing these local-government bond transactions directly with Oshchadbank since 2012, without an intermediary. The bank was licensed as a broker/dealer, and there was no need to involve an external broker. However, a legislative rule change in October 2013 required all purchase-sale agreements for government bonds to be made through licensed brokers, both by the buyer and the seller. As far as we understand it, Oshchadbank recommended several brokers to its foreign clients. There was nothing unusual that they contacted us. We are the market leader for government debt sales. We were also among the first ones ready to meet the requirements of the new legislation. As a result, we were executing government bond sales for clients of Oshchadbank for two months, November–December 2013. How much did your company charge for servicing these transactions? ICU charged a standard flat fee for performing the agent function: UAH 1,000 per transaction, regardless of volume. We signed a standard contract for broker services and didn’t have any information about transactions volume or execution period. Transactions were executed as one-time orders, and ICU performed only the agency role. These clients already maintained cash and securities accounts with Oschadbank and bought securities at prices that were pre-agreed upon directly between them and Oschadbank. How many transactions were there in all? There were 36 transactions, for which we charged UAH 36,000 accordingly. There was no added value and no credit risk. This is a mechanical process. We execute dozens of these transactions daily, and we have around two hundred clients for whom we act as a broker. Yuriy Lutsenko, Prosecutor General of Ukraine, stated that the inspection of the regulator—National Securities and Stock Market Commission (NSSMC)—was followed by the additional examination of the transactions. Who is carrying out such examination and what is it about? That is a question for the Prosecutor General. We learned about this additional examination from his statement to the media. Previously, following a court ruling initiated by the public prosecutor’s office, the NSSMC audited the compliance of these transactions with respect to ICU’s obligations within AML/KYC legislation. The inspection lasted for two months and concluded that we had done everything correctly. In any case, we are not concerned about any new inspection as we have acted fully in accordance with law. To what extent have the requirements for financial monitoring and client identification changed over the past four years? Would you execute similar transactions today? The law that tightened KYC regulations came into force in 2015. According to the current law, financial institutions must check the sources of client funds. The law also strengthens brokers’ ability to obtain client information from additional sources. If we understand the situation correctly, Latvia instituted asset forfeiture earlier than Ukraine did. Nonetheless, international law enforcement authorities have not contacted you on this matter, have they? Let me also point out that in keeping with the European anti-money laundering legislation that is binding for all EU-regulated financial institutions, recipient banks may not check the source of funds received from another European bank. The remitting bank is responsible for monitoring. As we understand from the secret court ruling, Latvian PrivatBank was a remitting bank in that case. Everything was done via that bank? According to the text of the court’s ruling, yes, almost everything. If you look closely at the International Bank Account Numbers (IBAN codes), you can see three other banks were also involved. However, they transferred only minimal amounts. These banks are Latvian Baltic International Bank, Estonian Versobank, and the local branch of Danske Bank. We are interested to know whether one can apply to the international court on the grounds of that published ruling to get payment from Ukraine. We mean those who have repurchased these offshore companies and would classify themselves as good-faith purchasers. It is hard for me to comment that. It’s a proper question for international lawyers. Broadly speaking, the answer will depend on jurisdiction, the execution dates, and other information available at the time those transactions were made. However, the influence of the Cypriot court and the Kramatorsk court is probably different. I don’t think it is right to compare them since the subject of the potential lawsuits is completely different. As an investment banker, in a similar situation would you buy such debt instruments issued by the other country if they were really cheap? Could this be a reason for obtaining by Al Jazeera the secret court ruling? Theoretically speaking. It’s a notion that cannot be ignored. Let me ask a more extended question: Do you have a kind of a “stop-list” or “blacklist?” A list of clients, which you will not service even if they go through the KYC procedure, the financial monitoring, and the identification successfully? Or is nobody in the Ukrainian investment business choosy about clients? First of all, there is a wide range of legislative “stop-lists.” These include Ukrainian sanction lists, OFAC sanction lists, EU and UN Security Council sanction lists, and others. Regardless, yes, we are selective when it comes to our clients, and we choose them very carefully. If, for example, we come across politicians, the so-called “PEPs”, we try to avoid them. So, it seems that you have come to certain conclusions in recent years, haven’t you? We did not service “PEPs” before that either. But, if you are talking about the country’s major “PEP” [the President of Ukraine], we started working with him in 2000, long before he became “PEP No.1”, when I was working for ING Bank. People call you Poroshenko’s investment banker. People call me Poroshenko’s investment banker because they stand to gain from that kind of name-calling. You could also call me an investment banker of Verevskyi [Andrei Verevskyi, Chairman of the Board of Directors and co-owner of Kernel], Kozhemiako [Vsevolod Kozhemiako, a General Director and co-owner of Agrotrade], Kostelman [Vladimir Kostelman a co-owner of Fozzy], Petrov [Aleksandr Petrov, a Chairman of the Board and co-owner of IMC], and many other people. In a number of sectors, I have executed more than half of the overall transactions in Ukraine. Do you provide any services to the President today? No. The only contract that ICU completed on the President’s behalf was a joint project with Rothschild for the sale of Roshen. The project ended for us in April 2016 after the assets had been transferred into a blind trust. 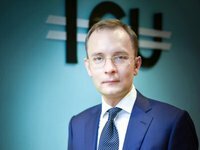 Another series of accusations is connected with the Rotterdam+ formula and purchase by ICU of DTEK bonds. There was pressure on the energy company, and the price of its Eurobonds was falling. Later, the state regulator (NKREKP) dramatically changed its approach to pricing and approved the “Rotterdam+” formula. The price for the company’s Eurobonds rebounded. The head of the regulator, as we know, had previously worked for ICU. If you are working in the debt markets of Ukraine and even the CIS, you cannot avoid working with Eurobonds issued by DTEK, Metinvest, and FUIB. If you take a list of all corporate [excluding government and quasi-government] Eurobonds issued in Ukraine at that time, these companies will account for roughly 40%. We began investing in DTEK Eurobonds in 2011–2013 at a price that equaled par value. In 2015 and 2016, we bought more DTEK Eurobonds for two reasons that were obvious to investors: the securities were cheap, and the company was beginning debt restructuring negotiations with its creditors. As far as price goes, just look at the price dynamics for securities of the biggest Ukrainian issuers (shown in the table) and a return on investment since March 2015. We can see that the prices had been increasing across the board. This means that the growth drivers were also identical for all of them. You are trying to put forward your investment logic, but I relate more to the logic of accusations against you: there was pressure on DTEK, and the price for its securities was decreasing. Ok, I understand your thinking. Can you then give me the reason for the price increase of Ukrainian sovereign Eurobonds at the end of 2015 and for the almost simultaneous decrease in price for the DTEK and Metinvest Eurobonds? (demonstrated in the chart). Was there pressure on Metinvest as well? I think this is the period when the default of DTEK and Metinvest had only just begun, and the government had already completed the restructuring of its sovereign debt. That’s correct. What happens when a company goes through a restructuring? It is immediately downgraded to a SD or selective default rating. Many investments funds have limitations in their memorandums and simply cannot invest in bonds with an SD rating. Thus, they have to sell. There are also investment funds that can invest in almost everything, but even they must act in the best interests of their clients. Thus, if fund managers refuse to sell SD-rated assets, they take other steps to protect the capital of their clients, for example, by entering into restructuring processes with borrowers. Many restructuring stories, including the case of Mriya, show that this route is often slow and unpleasant. Naturally, a major shake-up of the investor base led to a sharp fall in Eurobonds prices. Therefore, the main trigger of price declines is the expected or declared failure to service the debt on the agreed terms. This is the moment when distressed situations take shape. This is a standard trading strategy for funds specialising in distressed assets: analyze the defaulted borrower and the market environment, come up with possible restructuring scenarios, and then calculate potential return on investment. We have applied a similar strategy to a number of restructuring processes in Ukraine and other markets. Also, let’s discuss the actual terms of the DTEK and Metinvest restructurings. If, according to the restructuring terms, these companies were allowed to not pay interest to creditors, then, perhaps such restructurings would be profitable for DTEK and Metinvest. Where is a so-called “treason” here if creditors have agreed to terms such as these at the expense of their return on investment and cash flow? The point is that you—having a title of “Poroshenko’s investment banker” and connections with the officials at the regulator that previously had ties to ICU—knew that the company’s financial standing would improve. Didn’t the rest of the market know that too? They were not certain to the same extent. If you are talking about the regulator’s decisions, they were all transparent. If you compare the dates when these regulatory decisions were taken with the DTEK Eurobonds prices chart at that time, you will hardly see any correlation (demonstrated in another chart). It is well-known that the Rotterdam+ formula does not directly influence the electricity prices for households. Let me also remind you that the regulator’s decision to increase household electricity prices was prompted by the IMF and the coalition agreement. Furthermore, we have a wholesale electricity market in Ukraine. In such a model, power companies are paid by the energy market after it accumulates funds from consumers. The market operator distributes the funds among power producers proportionally to their output and tariffs. Bearing that in mind, the “treason” accusations would be true if the distribution of the pool of funds received by the energy market were skewed toward DTEK and other thermal power producers to the disadvantage of other producers. In reality, however, it happened differently. For instance, the tariff for Ukrhidroenergo grew by a higher percentage than that for thermal generation. This provided a five-fold increase of Ukrhidroenergo’s investment program. If there isn’t any treason, why is there so much noise around this topic then? Exactly. By 2015, fees for electricity, gas, and heating for households covered the lesser part of production costs. This caused inefficiency and imbalances within the sector: households were subsidized by industry, there was fiscal pressure on the budget, and consumers were not encouraged to adopt energy-saving measures. The elimination of these imbalances was important to sustainable economic growth. And, to no one’s surprise, formed part of the IMF requirements as well as those in the coalition agreement. Was the discussion with the IMF about the increase in tariffs public? Was the timing of their increase transparent? Yes, it was transparent. For various generation types, however, an increase like this could have had a different impact. It also depends on the regulator. Price increases for households bring additional cash flow into the energy market, which (as we already know) is distributed amongst all energy market participants. If one knows the schedule of tariffs increases, one can calculate the approximate additional cash flow that each type of generation can receive. To illustrate this point, around USD 1.6 bln flowed into the energy market in 2015–2017 from increased household tariffs. This amount was distributed amongst all generation types in proportion to their share. The share of thermal generation in the WRP is 35%, of which DTEK has approximately a 70% share. Consequently, in 2015–2017, the company could have received additional cash flow of circa USD 390 mln, provided the company’s expenditures remained the same. At the time of restructuring, the company’s debt was USD 2 bln. Assuming the interest rate was 10%, then the absolute cost of this debt totaled USD 200 mln per year. Now, let us compare the annual cost of the DTEK debt servicing with the additional funds in the amount of USD 390 mln, which the company could receive in 2015–2017 as a result of the tariffs increase. The debt could be serviced. It also worth mentioning that the company’s EBITDA was positive at the time of restructuring. This is the investment idea in a nutshell: the company would be able to restructure its debt and service it in full despite the conflict in eastern Ukraine and the ailing economy. For how many clients have you purchased DTEK and Metinvest securities? We do not provide any services to clients with regard to these securities. In fact, we do not provide any brokerage services for Eurobonds. We buy them only for ourselves and for the funds that we manage. What is your share in DTEK and Metinvest Eurobonds issues? The overall volume of DTEK Eurobonds issues is USD 1.3 bln, and Metinvest is USD 1.2 bln. Our share in these is insignificant. In this respect, we simply cannot compete with the global funds that are the major holders of these securities. Moreover, you might also have a share in the FUIB securities issue, and this is a single-owner risk. We have a different opinion about that. In the first place, we always consider the results of fundamental analysis. Does it mean that you do not consider the political risk at all—today Akhmetov is well-liked, tomorrow he is not that well-liked? We have experience working in many different environments. The asset’s quality and its perspectives are what we are really interested in. The financial results of most Ukrainian issuers depend on international commodities prices. For instance, when the price of metal or iron ore grows, then the shareholder earns more. When they decrease, the shareholder earns nothing, and when prices fall significantly, the company can barely service its debt in a timely manner. The situation is clear in this case for creditors, and they are ready to face those risks. The creditors, however, do not understand a situation in which the company simply does not want to pay its debt. And there will be nothing worthwhile investing in this country until this simple rule is well understood. The creditors do not care who a shareholder is. They were ready to go to court on “Mriya” issues, and they will be ready to pursue long-drawn-out legal proceedings, as in the cases of DTEK, Metinvest, and FUIB. To summarize this “accusatory” part of the interview, what is or who is the reason for yet another barrage of accusations against the company? We link it with the tightened political struggle as well as with the reforms that have been carried out by our former employees and our former managing partner. Even though these individuals are no longer connected to ICU, some people are aggrieved by their reforms because they can no longer reap the proceeds of corruption. These “sufferers” find it convenient to attack ICU. We receive collateral damage as a result of politics and reforms. Following such logic, the closer we get to 2019, the more pressure you will feel. Yes, we expect this to be the case. Does the extra attention on the company not frighten off your clients? Thank God, no. They know what is happening in Ukraine. We were surprised to find out that ex-MP Eduard Prutnyk had sold part of his business in Ukraine and purchased a diamond mining company in Africa. Do you plan to do something similar? No. Our business will stay in Ukraine. We feel comfortable here. Besides, we can invest in foreign assets from here. Today I can buy the Ukrainian securities; tomorrow I can acquire Croatian Agrokor bonds, the day after tomorrow, the bonds of Suriname. By the way, we have already purchased Suriname bonds. We learned a great deal when we were working on our investment thesis, and it was a successful investment. And today, with all its potential, Ukraine is certainly one of the best countries in which to invest. Today KPMG has sent a report saying that Ukraine is a good country for starting a contract business. We appreciate our employees and pay them competitive salaries that are no different from salaries employees in developed countries would receive for the same job. That is, if we compare them on disposable income grounds, and this is the right way to think about it. But with the same disposable income, the quality of life here and in developed countries is significantly different. Our key personnel are in Kyiv. Most of our employees used to work at international banks and asset management companies. Many have worked abroad, and many have an international education. There are also a number of foreigners who have applied to work with us, and there are quite a few of these expats already working for in company. These are people who have graduated from the top-tier schools such as Princeton and Stanford, and have worked for Citibank and Deutsche Banks. In general, our Ukrainian team does not differ at all from the teams working for western investment banks that operate in the region. Did you change the group’s business structure in Ukraine? The business structure is the same. If we talk about the Ukrainian part, it consists of several divisions. There is the asset management business, the major part of which focuses on pension funds management. We also have a securities broker/dealer and Avangard bank. This is a small bank with a transparent business model and reporting mechanisms, despite what you may hear to the contrary. Anyone can see how much Avangard earns and can calculate—and this is the most important thing—its return on investment. You have not disclosed the group’s financial indicators before, but the press said that the annual net profit was in the amount of USD 150 mln. This is certainly a very flattering estimate, but it is not correct. Unfortunately, the group’s annual profit is much lower. Being a private company, we do not publish it. We, however, disclose this information to our foreign counterparties upon request. How much assets are there under ICU management? Today we manage assets in excess of USD 500 mln.